When, in this Martin & Sylvia's Nature School story, "Kings and Queens of the Forest", Martin leaves for Wilderness School, he can't help but feel envious for Sylvia's project with Daddy: preparing for May Day by building a huge bonfire and cooking Beltane Bannock Bread. This has his attention all morning until Eva gives his group an inspiring May Day question: What kind of King or Queen of the Forest do you want to be? And his answer helps Martin understand not only a gift of May Day but of leadership itself. 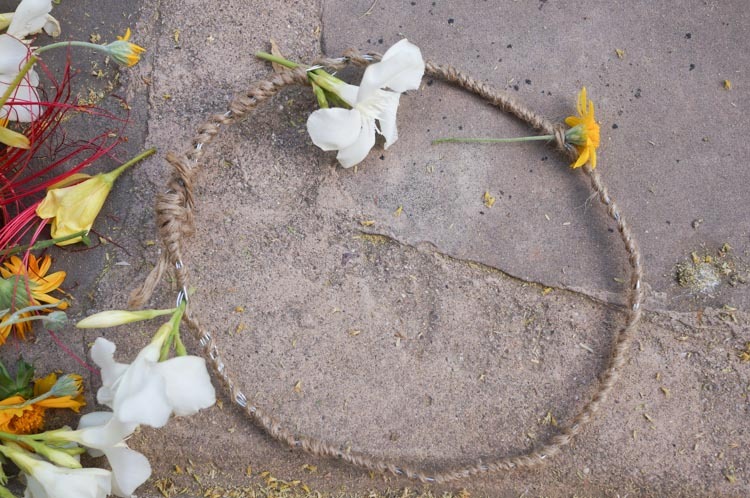 Beltane, or May Day, has been celebrated for thousands of years as a way to bring good luck in the new growing season, provide protection for livestock, and encourage the earth to wake up and grow. Like Daddy says in the story: people would celebrate by having a bonfire and having a large feast. They would also make crowns of flowers and sing and dance. In this story, Martin learns a very important lesson about what goes into making a crown; that it's not just the materials but the intentions behind them. 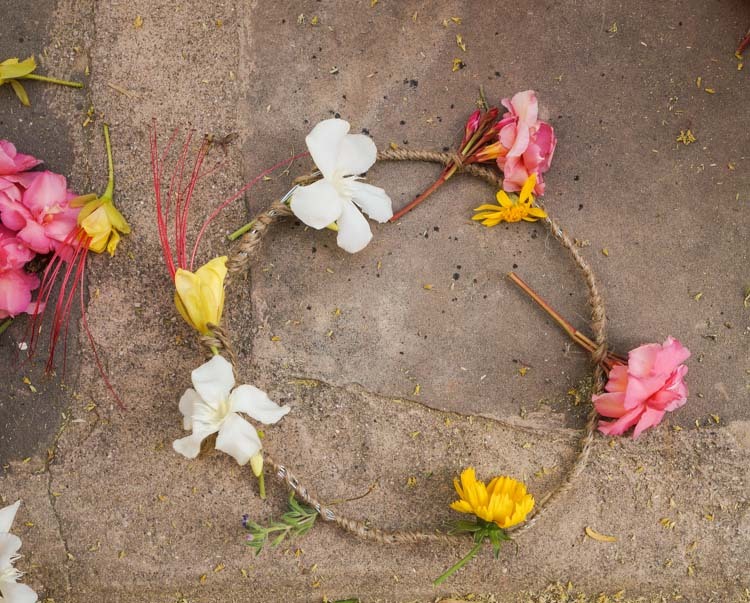 This tutorial is not just about making pretty crowns, but making a crown fit for a leader -- whether that leader is a big sister who helps take care of her siblings, a boy who watches over the frogs and fish in the pond at the park, or even an elderly person who helps children learn to read each week. Making these crowns is easy, but it does take time to assemble the materials. Like Martin in the story, take some time before starting to walk around your neighborhood and collect flowers. Make sure to pick only as many flowers as you need and leave the rest for the bees and butterflies. Start by collecting your flowers. This is a great time to take a walk and see what is happening in your neighborhood. Next, gather all of your materials and have them ready as you assemble. Start by measuring your child's head with the measuring tape. Take that measurement, and add two or three more inches to it. 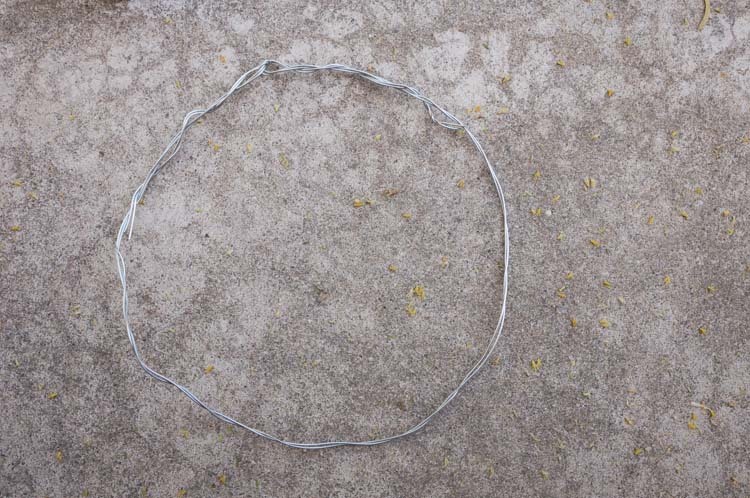 Then, using the new measurement, cut two lengths of wire. 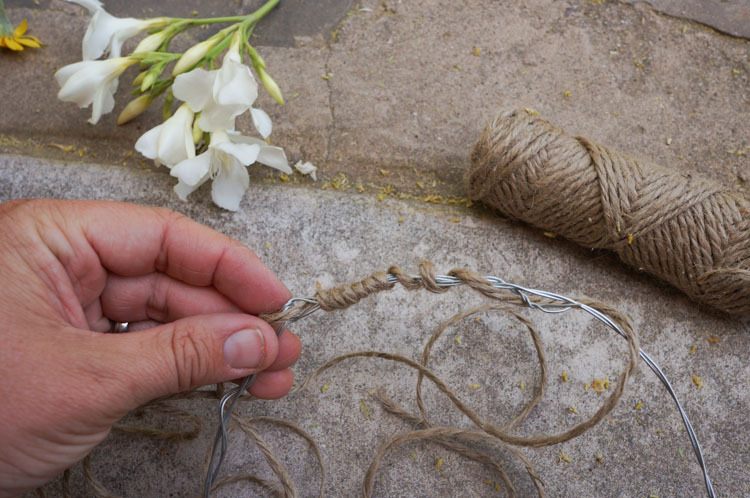 Then start twisting the wire together tightly, just for the first few twists. 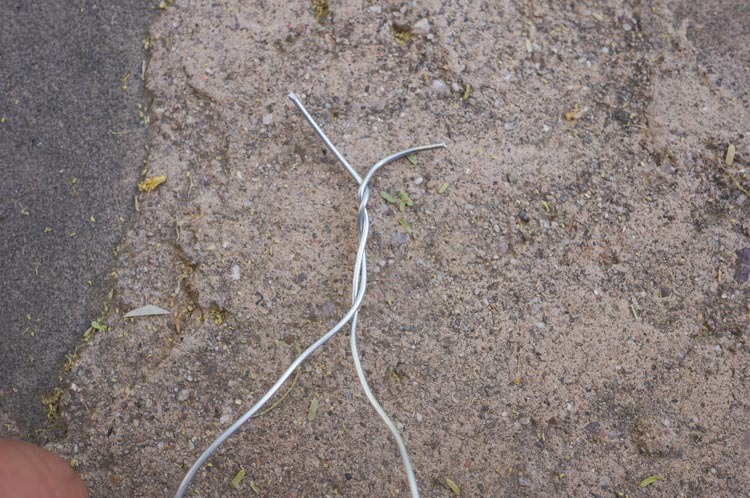 Then, twist the wire together loosely. When you get to the end, twist both ends together loosely. Now you have the basic frame of the crown. 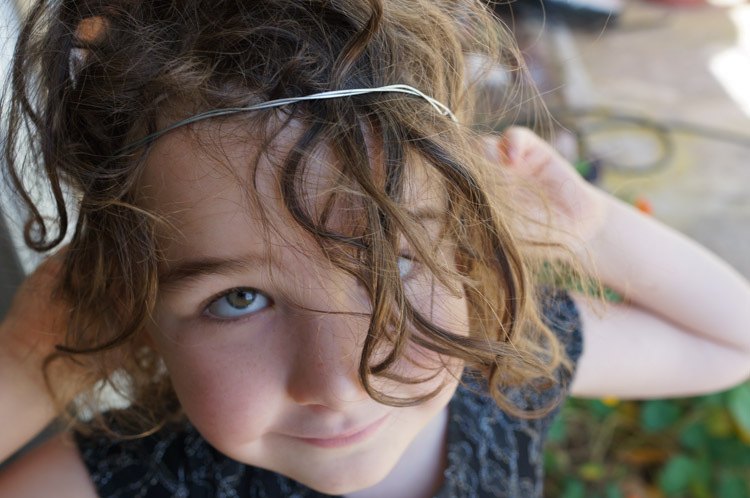 Place the wire circle on your child's head and adjust (by twisting the wire tighter or making it looser) it until it fits just right. 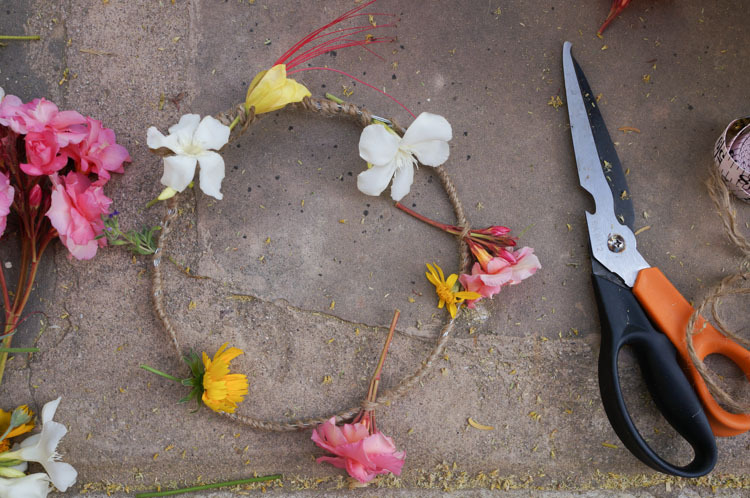 You can use the wire cutters to cut off the ends or just wind them into the crown. 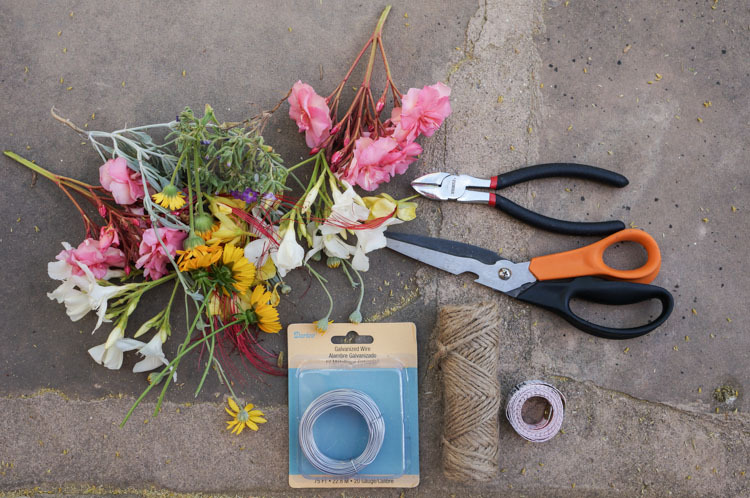 Next, cut a long lenth of twine or ribbon and wrap it around the wire frame. (Make sure not to wrap too tight or you won't be able to insert the flowers.) Tie off the ends. Now comes the fun part: adding the flowers! 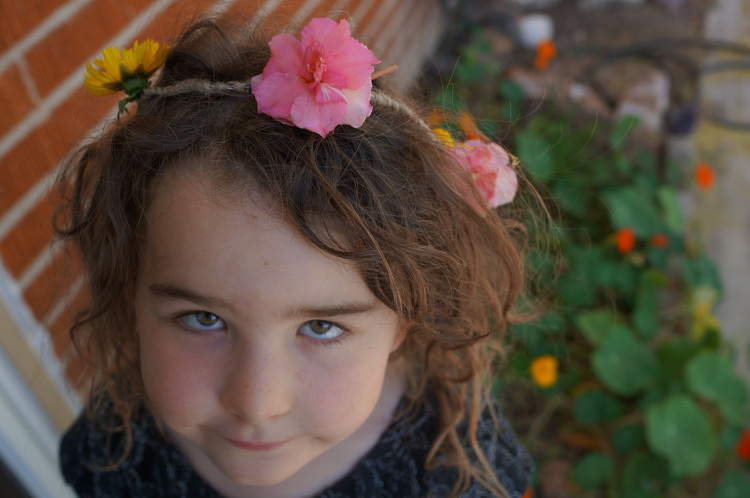 Because crowns are very personal, allow your child to pick how many and which flowers they want to include. 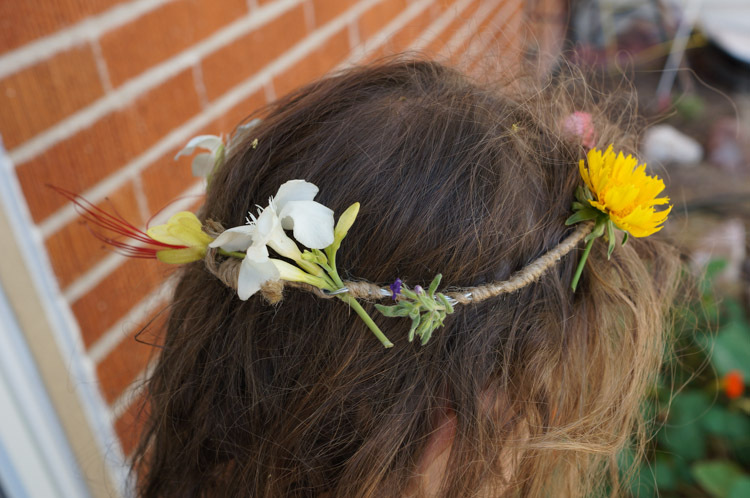 My daughter chose just a few flowers for her crown, whereas other children might fill the whole crown. 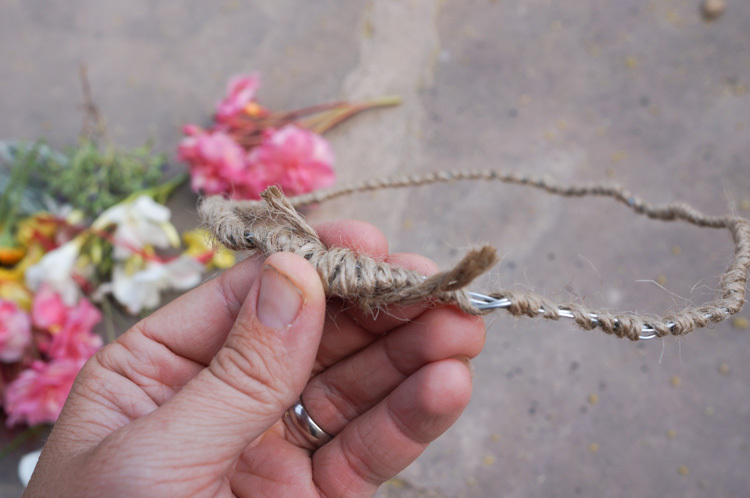 To insert the flowers, simply wedge them between the twine and the wire (this is why we didn't twist too tightly). Then, wear the crowns and sing and dance!